A perfect Memorial Gift Idea a loved one this Christmas. 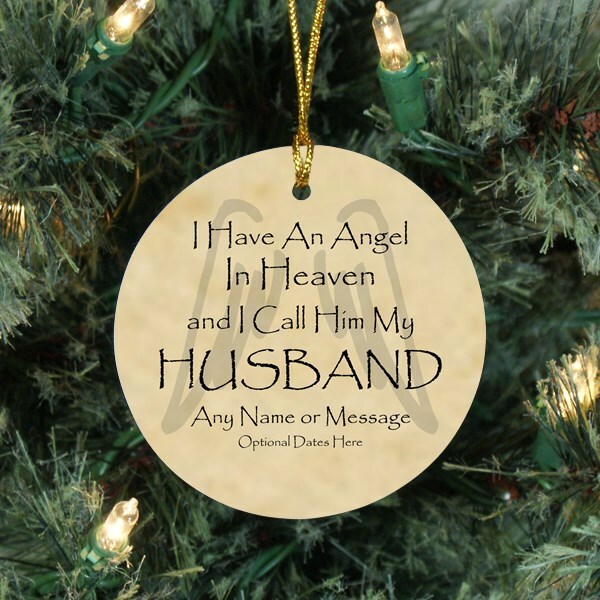 This Memorial Christmas Ornament is in memory of "Husband" or any title you choose (Hubby, Buddy, etc.) 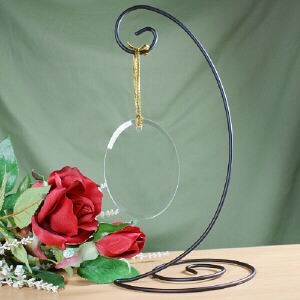 This ornament can be hung from a Christmas tree or displayed year round on an ornament stand (see below). 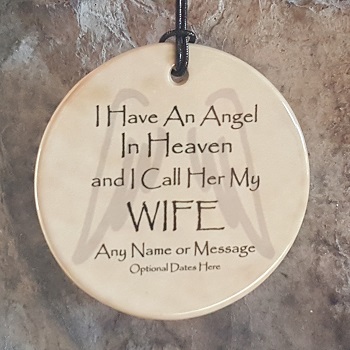 Can be personalized with any name/message and you can add dates if you wish.